Naldo hopes VfL Wolfsburg can improve in the second half of the season to finish in the Bundesliga's top three. Naldo has insisted VfL Wolfsburg "want more" from the second half of the Bundesliga season despite the Wolves already pushing for a top-four finish. Dieter Hecking's men ended the first half of the campaign on a low with a surprise 3-1 defeat to VfB Stuttgart leaving them in seventh place over the Winterpause. However, last season's runners-up are just , and Naldo told his club's official website their ambitions remain lofty for 2016. "I have a good feeling, although the first half of the season was a bit difficult for us," said the 33-year-old, who was ever-present over the opening 17 games. "With the changes, the start wasn’t easy for us and we are not yet there where we would like to be. That’s something we will achieve though, we are good enough to do that! At the moment we are in seventh place. That’s OK, but we want more." 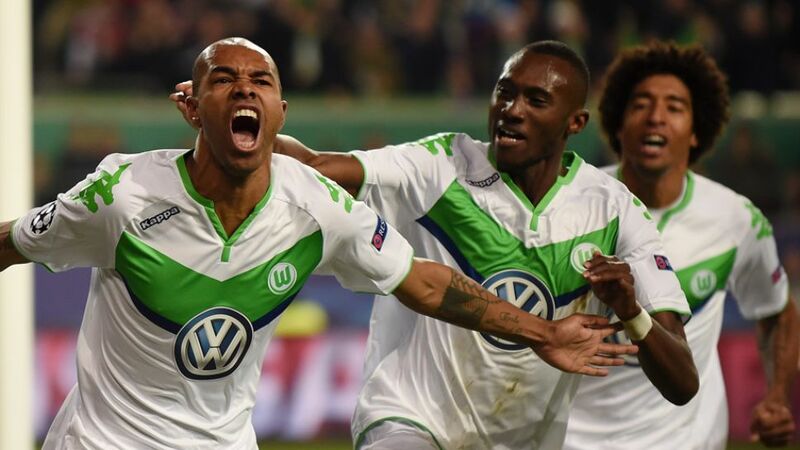 To do that, Wolfsburg will require an upturn in fortunes away from the Volkswagen Arena. On home soil, they have been characteristically formidable, but have suffered terrible travel sickness, picking up just six of their 26 points on the road, the second-lowest tally in the division after Stuttgart. Whether those tweaks bear fruit or require further examination will only become clear when Hecking's side head to Frankfurt for their opening Rückrunde game on 24 January. With Borussia Dortmund 12 points ahead in second, and leaders FC Bayern München a further eight points clear, a repeat of last season's top-two finish would require a remarkable run of form. However, having returned to the UEFA Champions League this campaign for the first time since 2009/10, and made it into the knockout stages where KAA Gent await, Naldo has his sights set on a podium finish to ensure qualification for the group stage of European club football's premier competition again next term. "We need to set our focus on third spot. Hertha have played an exceptional first half of the season – Schalke are coming through, Leverkusen are coming through, Gladbach are back in the thick of things again. The table is very tightly packed, but we can only focus on ourselves," Naldo, who spent the festive period in his native Brazil, said. "If the others should slip-up, we have to be there and take as many points as possible back to Wolfsburg."